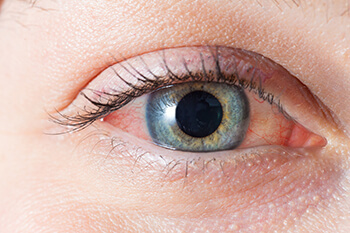 Uveitis refers to the inflammation of the uvea, which is the middle layer of the eye between the retina and the sclera. The uvea extends toward the front of the eye and is made up of the iris, choroid layer and ciliary body. Uveitis is common in people ages 20 to 50 and can be a very serious disease that could lead to blindness. Early diagnosis and treatment are important to prevent the disease from becoming worse. The cause of uveitis often cannot be determined, but patients who have contracted uveitis have conditions linked to autoimmune disorders, inflammatory disorders, infections, eye injuries, and certain cancers. Typical symptoms such as red eyes, sensation of pain, and trouble seeing in certain lighting conditions and light sensitivity get worse. There are a number of treatments doctors can prescribe for you depending on the severity of the condition. Anti-inflammatory medications in the forms of eye drops are one of the first forms of treatment. Antibiotics and Antiviral medications may also be prescribed in order to get the infection under control. If the medications do not work, surgery may be required to try and help preserve vision.